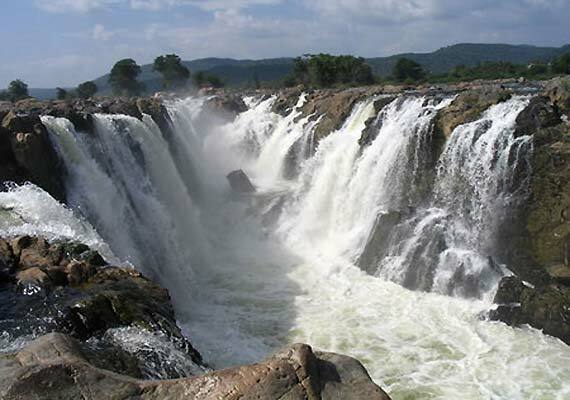 The Barehipani Falls is located in the core area of Simlipal National Park in Mayurbhanj district in the Indian state of Orissa. It is amongst the higher waterfalls in India and is situated at a height of 399 metres (1,309 ft). It is tiered waterfall with two drops. The tallest single drop is 259 metres. 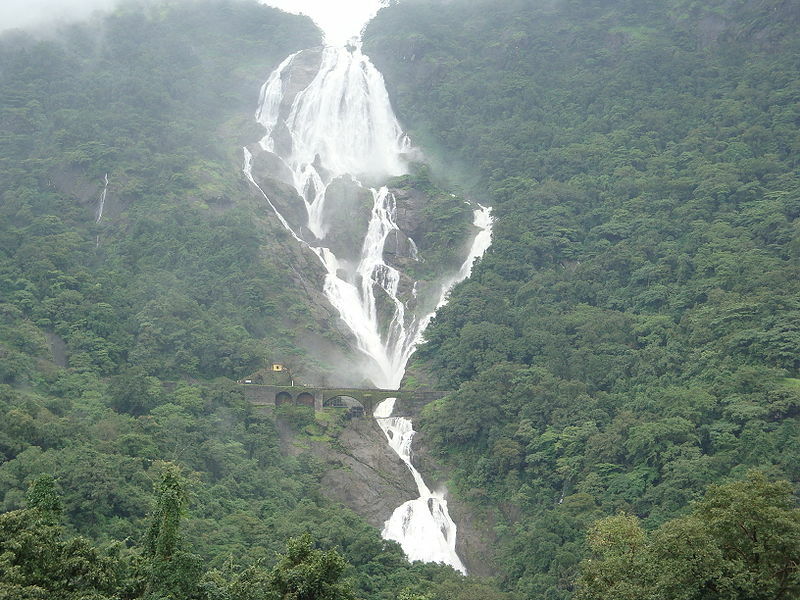 The waterfall is situated on the Budhabalanga River flowing over the Meghasan Mountain. The nearest railway station is at Baripada. The Joranda Falls is located nearby. 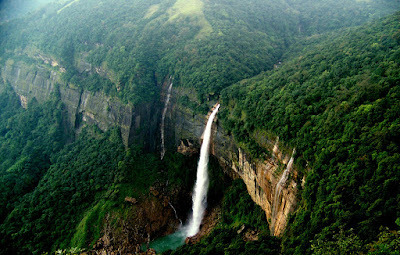 The Langshiang Falls is located near the village of Sangriang, 24 kilometres (15 mi) from Nongstoin, in West Khasi Hills district in the Indian state of Meghalaya. It can also be seen from Mawpon village. 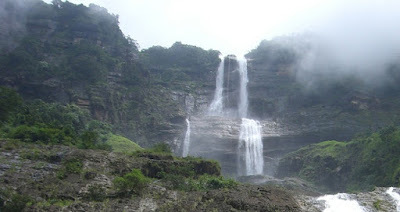 The total height of the falls is generally quoted at around 337 metres (1,106 ft). However, that needs to be confirmed. Considering the height to be correct, it is the 3rd highest waterfalls in India. 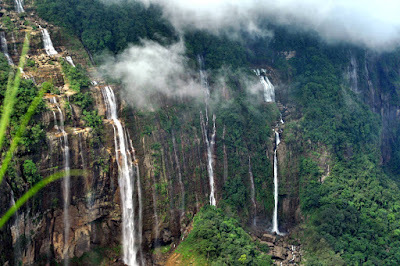 Nongkhnum Island, the biggest river island in Meghalaya is 10 kilometres (6.2 mi) from Langshiang Falls. 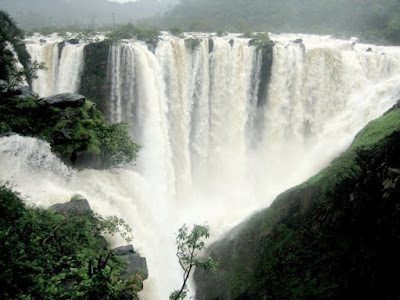 Nohkalikai Falls is the tallest waterfall in India. Its height is 1100 feet (335 metres). The waterfall is located near Cherrapunji, one of the wettest places on Earth. Nohkalikai Falls are fed by the rainwater collected on the summit of comparatively small plateau and decrease in power during the dry season in December - February. Below the falls there has formed a plunge pool with unusual green colored water. In Khasi language, the name of the falls means "Jump of Ka Likai" which is linked to a legend about local women Likai who after family tragedy became insane and jumped off the cliff next to the falls. The Nohsngithiang Falls is also known as the Seven Sisters Waterfalls and the Mawsmai Falls. It is located 1 kilometre (0.62 mi) south of Mawsmai village in East Khasi Hills district in the Indian state of Meghalaya. 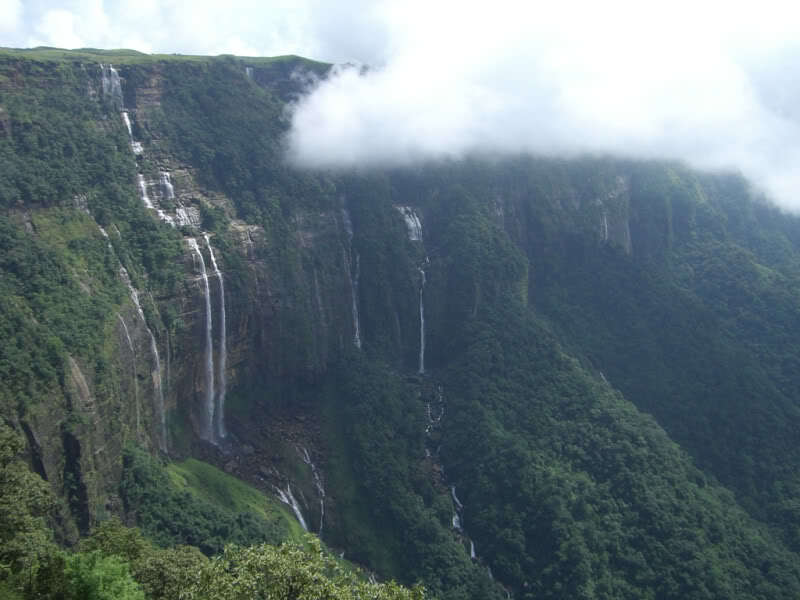 This is the fifth highest waterfalls in India. It is a seven-segmented waterfall, which plunges over the top of limestone cliffs of the Khasi Hills. The falls only flow during the rainy season. In full spate, the segments stretch most of the way along the cliff. 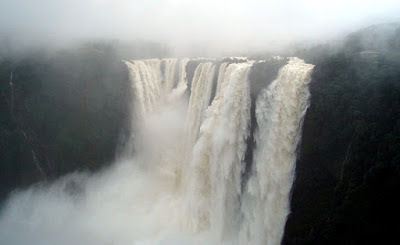 The water falls from a height of 315 metres (1,033 ft) and has an average width of 70 metres (230 ft). The waterfalls get illuminated by the sun from dawn to sunset. 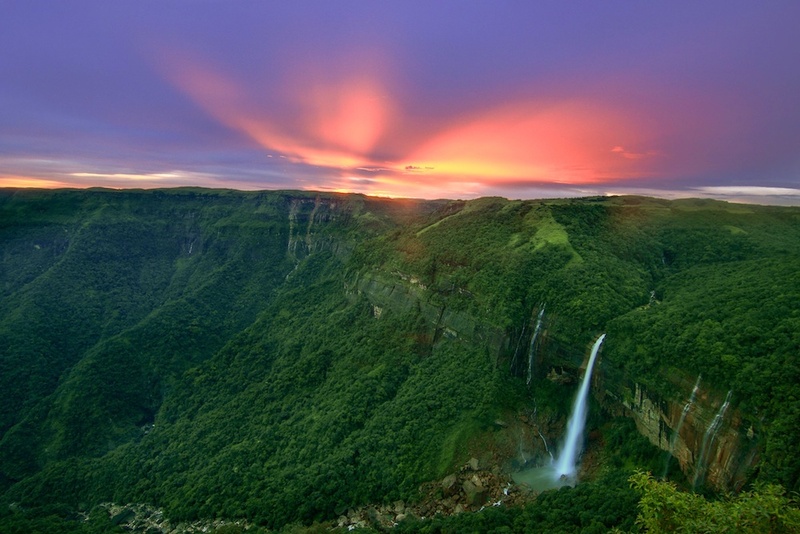 The vibrant colours of the setting sun on the waterfalls make it beautiful to behold.